How AlphaTrader can reduce your transaction costs. Case study 1 – Hedge Fund running more than 500 multi-timeframe strategies. Case study 2 – Running automated trading strategies on several accounts. Case study 3 – New AMF regulated hedge fund upgrading its technology. 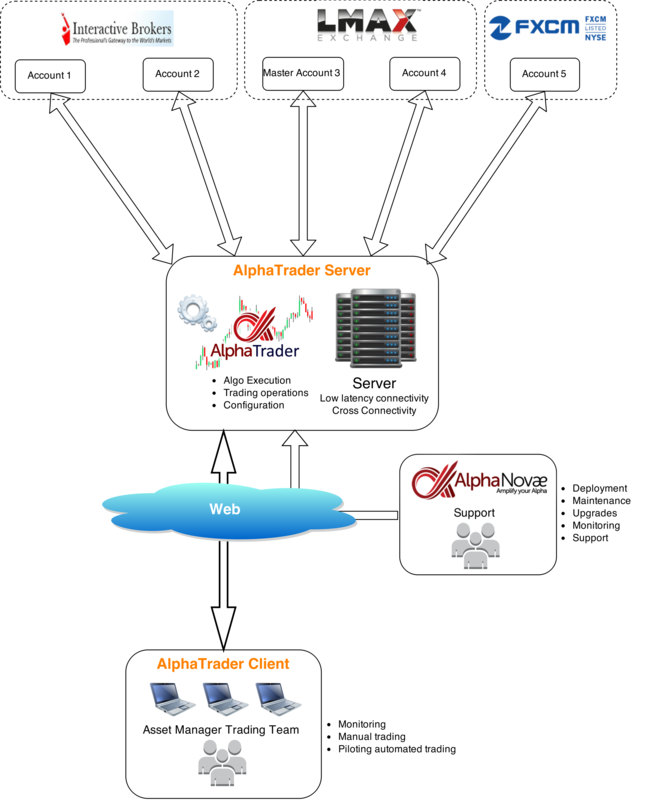 Case study 4 – AlphaTrader Enterprise (multi-traders) set-up: Liquidity Aggregation, Prime Brokerage and AlphaTrader Gold Plan. Case study 5 – Asset Manager having to duplicate trades on different brokers and accounts. Case study 6 – A Trading Arcade setting-up its infrastructure. Case study 7 – Developing a spot Forex on Exchange Market Making algorithm.